So much is written about beets these days. According to a new study in the journal, Nitric Oxide: Biology and Chemistry, consuming high concentrations of dietary nitrates found in beets, celery, cabbage and some lettuces, can help keep brains healthy. The study found that drinking 2 C of beet juice at breakfast for just four days increased blood flow to the brain’s frontal lobes. Degeneration of those lobes is linked to cognitive impairment. 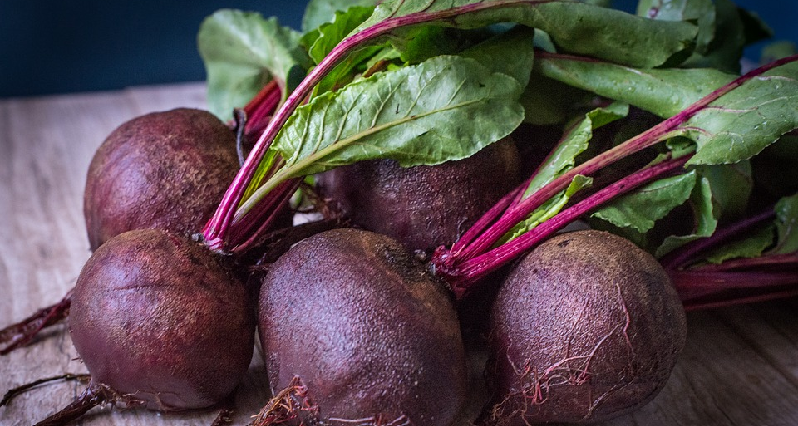 Can we eat beets instead of drinking beet juice? I would think so. Other beet dishes to love? Our kitchen’s Glowing Salad (from our cookbook, The Blue Ribbon Edition),and Roxanne’s beet borscht, are two examples of dishes I love. Place beets and 2 C water in a saucepan. Bring water to a boil, cover pot, lower heat and simmer until beets are tender when poked with a paring knife (15-30 minutes). Cooking time varies depending upon beets themselves and size of the pot. Check the water level periodically because some pots allow more steam to escape than others. You don’t want your pot to burn dry. Cool beets slightly, cut each beet in half lengthwise and then slice as you would an onion. You will have beet juice left in the pot. Let it cool and drink it because it’s delish. Try adding some lemon juice for a refreshing change. Combine remaining ingredients in a large salad bowl and toss. Choose any of the optional suggestions above, but mix those in just before serving so they don’t turn completely red.